Thank you for helping us reach our fundraising goal! Together we can make a difference in the lives of those affected by ALS. 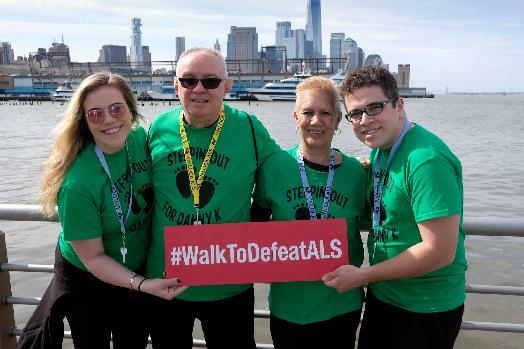 Our team is committed to raising money to support people in our community with ALS and spread awareness of the urgency to find treatments and a cure. Please consider joining our team in the Walk to Defeat ALS® or choose a team member from the list and donate to our cause. That’s why we’re participating in the Walk to Defeat ALS. To bring hope. To raise awareness. To provide resources and services to families free of charge. To help unlock the mystery of ALS and find the key to treatments a cure. Will you join us?